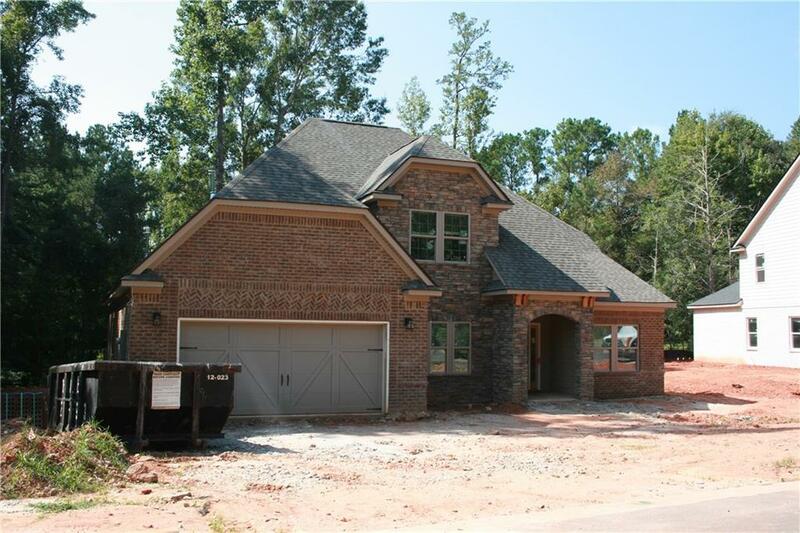 New Construction Grouse Euro by Homestead Residential features Entry Foyer, Separate Dining Room, Flex Room with Closet, Open Family Room, Kitchen and Breakfast Area, Large Master Suite with 2 Walk in Closets, Sitting Room, Double Vanity and Separate Tub/Shower, Full Laundry off Master and Full Bath on Main Floor. Second Floor has 3 Spacious Bedrooms with BR 2 having Ensuite Bath and WIC, BR 3 and 4 share Jack N Jill and both have WICs. Covered Rear Patio. Zoned HVAC. 36"Electric FP. Forged Bronze Lighting. Venetian Bronze Plumbing. Granite in Kitchen and Baths. Wood in Foyer, Dining, Flex, Family, Kitchen, BFast and Owner Entry. Tile Laundry and Full Baths, Master Shower Walls. Wood Stair Treads.